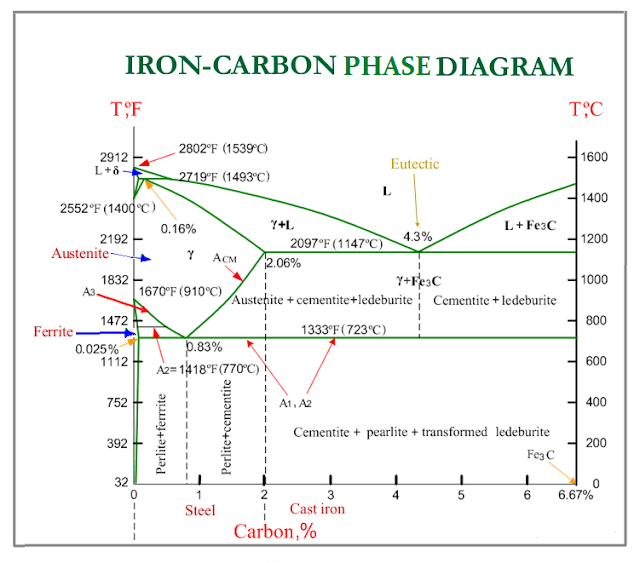 Figure shows the iron-carbon equilibrium diagram representing the entire range of iron-carbon alloys. 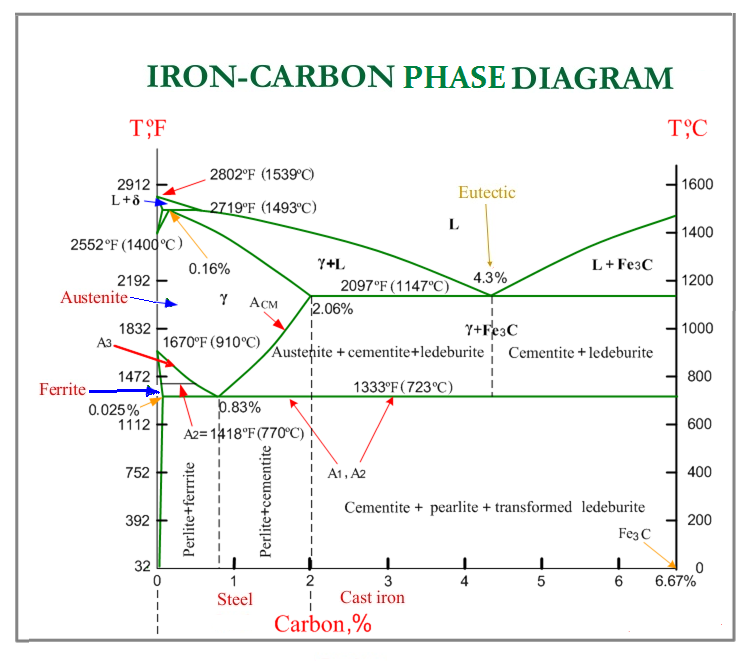 Diagram indicates transformations that take place in an alloy of iron-carbon from pure iron to cementite (carbon content 6.67%). The carbon percentage is represented on the horizantal axis and the temperature on the vertical axis. We have also shown the names of the phases existing at temperatures and concentrations determined by the lines (boundaries) of these areas on the equilibrium diagram. Any Iron-carbon alloy in the moltan state may be considered to be solution of Fe3C in iron. When this solution cools and solidifies, it depends upon the amount of carbon present whether the alloy will solidify as a solid solution or form a eutectic.